Esfuerzo Seguro, the first natural catastrophe index insurance product in Central America covering business interruption, was officially launched in November 2016. It covers the clients’ business interruption caused by drought, excess rain and earthquakes. Esfuerzo Seguro is offered by Aseguradora Rural (AR) to clients of Banrural (BR) in Guatemala. Esfuerzo Seguro was designed and implemented in the context of the Central American Disaster Microinsurance Expansion (CADME), a program executed by MiCRO with the support of the Swiss Development Agency (SDC), the Multilateral Investment Fund (MIF) managed by the Inter-American Development Bank (IADB), the Australian Aid, Swiss Re, Mercy Corps, and KfW through its Climate Adaptation Platform (CAP). In addition to the index insurance, clients receive information and incentives to help them adopt measures for better risk reduction and resilience against natural disasters. This is made possible thanks to the support of the Coordinadora Nacional para la Reducción de Desastres de Guatemala (CONRED), with whom MiCRO partners to promote resilience in the country. As of the end of October 2017, 619 bank agents based in 198 branches of Banrural have been trained to explain and offer Esfuerzo Seguro to their clients. 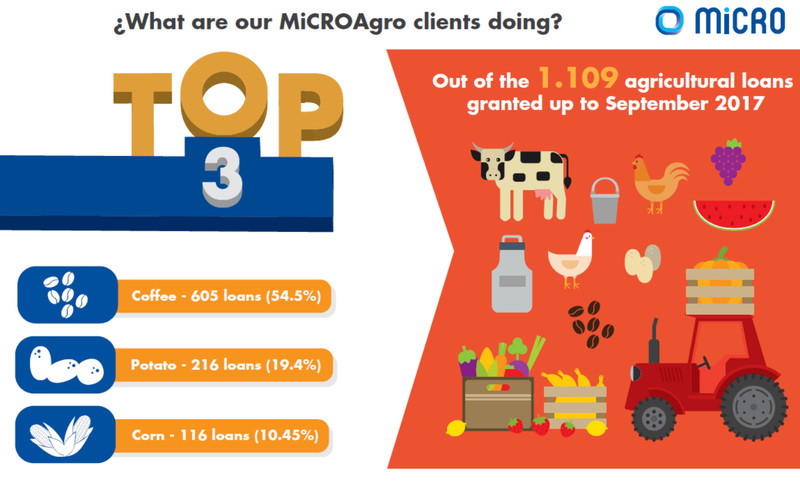 More than 1,500 Banrural clients have been insured as of the end of October 2017, with a total value insured of USD 1,350,000 of client productive capacity, averaging USD 870 per client. 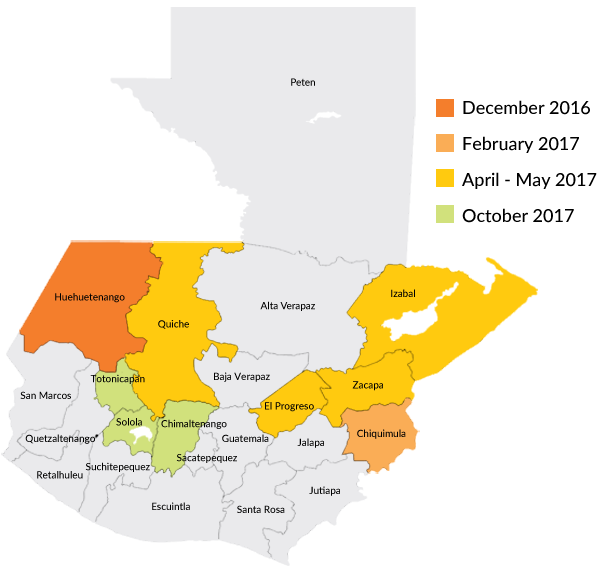 Although Esfuerzo Seguro was designed to protect against the impact of severe natural catastrophes, more than 350 clients have received payouts recently for triggering events that occurred in their regions. 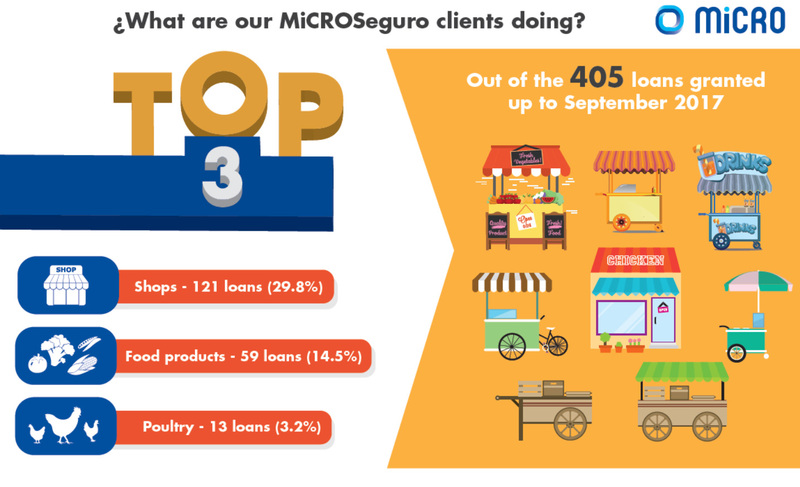 MiCRO is closely monitoring and evaluating the Esfuerzo Seguro during its pilot stage, looking at three dimensions: (i) Business sustainability (ii) Product value for clients and aggregators, and (iii) Product design. This allows us to identify and prevent operational flaws while continuously guiding our work towards positive impact.